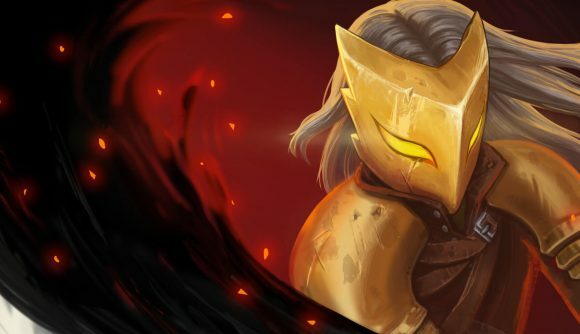 Nailing balance is a key part of getting a deck-building game like Slay the Spire, and one of its creators says streamers and YouTubers were invaluable in getting that right for their hit card-battling rogue-like. Anthony Giovannetti is the co-founder of Mega Crit Games, and he gave a talk today about using metrics to drive the game design process for Slay the Spire. While he said he’s a data-driven guy – and a life-long fan of card games – he also said that relying too heavily on data can lead to big mistakes. Using data from early access players, Giovannetti was able to collect information from every run of Slay the Spire and use it to work out which cards were too powerful and which weren’t being used. But data can be misleading – during testing, one card called Madness, which reduces the cost of a random card in the player’s hand to zero, was showing up in disproportionately in winning decks. On closer inspection, the reason wasn’t that Madness is too powerful, it’s that it tends to show up toward the end of a run, at a point when most unsuccessful decks would already have been eliminated. So rather than rely strictly on the data he was collecting through his feedback server and Steam analytics, Giovannetti said he wanted to get feedback from players, live. This was difficult and time consuming, especially for a studio composed of two developers. Live-streamers and YouTubers wound up being an invaluable source of feedback. Working with streamers to help promote your game is nothing new, of course, but Giovannetti said they’re also remarkably helpful for identifying the places in a game that need the most work. He would watch Twitch streamers to hear their reactions and to read the discussions in chat. Streamers, he said, tend to be better at giving valuable feedback thanks to the nature of their jobs. By the time Mega Crit was ready to start working on Slay the Spire’s third playable character, the Defect, the developers were already so used to the process of pushing out experimental builds on Steam’s beta branch, looking at data, collecting feedback, and watching streamers that it took far less time than they had planned to complete the character. And their approach has worked well – Slay the Spire has sold more than 1.5 million copies since it entered early access, and it has an ‘overwhelmingly positive’ reaction from Steam users, with an enviable ratio of 96% positive user reviews.